"Trouble in paradise" is putting it very, very mildly. After last weekend's bombshell reveal of a leaked tape in which Republican presidential candidate Donald Trump bragged to Billy Bush about grabbing a woman "by the p*ssy," among other heinous things, he's in deep water. Republicans — particularly ones whose reelection bids are dependent in part on the women Trump's tape most directly insults — seem eager to jump ship. Among these Republicans, possibly, is Trump's own vice presidential nominee, Indiana governor Mike Pence, who has said he "cannot defend" Trump's remarks and "does not condone" them. Republicans calling on Trump to drop out of the race could face intense criticism from the GOP nominee's surrogates, seeing as early voting has already begun in many states and Trump's name appears on the ballot in all of them. Furthermore, existing RNC rules would make it difficult, if not impossible, for the party to replace their candidate after the convention. However, Pence might be able to leave the ticket, should he choose to. 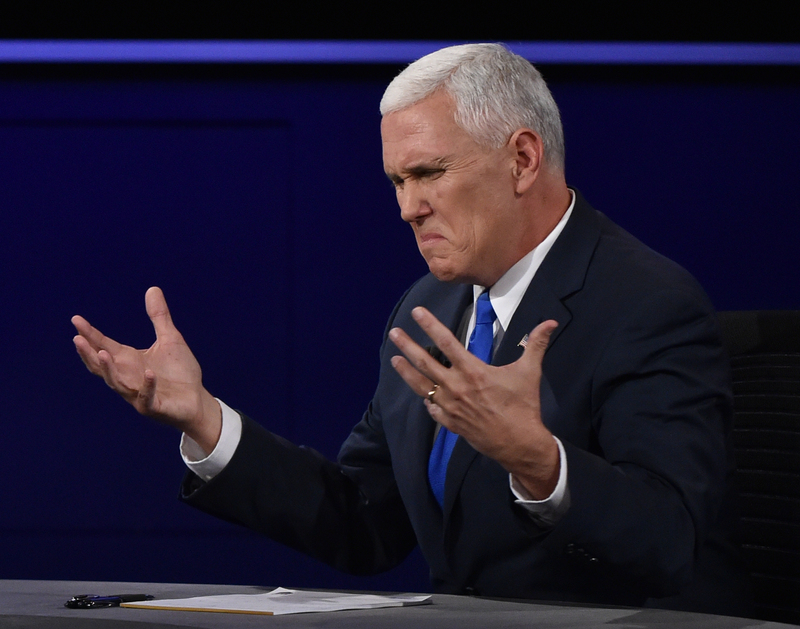 His name may still be on the ballot, but Pence could certainly resign as soon as he is inaugurated or possibly even refuse to be inaugurated at all. If Pence chose to leave the ticket after Trump was elected, the twenty-fifth Amendment indicates that a President Trump would appoint another VP, who would be subject to confirmation by both houses of Congress. With that in mind, who would Trump choose as Pence's successor? After last weekend's revelations, there aren't many prominent politicians left on the #TrumpTrain, so his choices might be few. Since the release of the tape, Giuliani has, in Hillary Clinton's own infamous words, stood by his man. Giuliani replaced many other Trump surrogates on the news circuit throughout the day on Sunday, telling reporters that Trump was "embarrassed" by the tapes and trying to reroute conversation to Clinton. In the age of '90s nostalgia, everything old is new again. '00s nostalgia might be just around the corner, and it certainly would come to life if Trump named Palin a replacement VP. Palin took to Facebook in a lengthy defense of Trump's comments, saying she's heard "worse" in locker rooms during her time as a sports reporter. But debating over who could or would replace Pence in the hypothetical situation that he drops out isn't necessarily the point. In reality, Trump is losing his support base — and quickly at that. Only the remaining weeks until election day will tell whether or not his popularity can endure within the party he calls his own.